Do you prefer an elegant or powerful Scotch for pairing with a smoke? In order to enjoy a Scotch and cigar tasting, you should know the personality of both the liquor and the cigar before you sample them together. You can sip single malt Scotch created from malted grain that provides a smooth taste or a blended Scotch with its combination of flavors. Scotch may require a little thought when pairing with a cigar. The beverage can feature facets of the sweet, peaty, or smoky. Like cigars, Scotches have weights and complexities. A hand rolled cigar from a respected boutique provider, like Federal Cigar, can draw out the Scotch’s most enjoyable features, and the same can be said for the drink bringing out the best of the smoke. The two elements should unite in harmony, without battling one another. When it comes to pairings, countries with their distinct cultures can also work together. A Cuban cigar can be paired with a Scottish whiskey or an American bourbon. Generally, a cigar with a lighter body is successfully paired with a milder Scotch. However, rules have exceptions. Your palate has the right to venture into unexpected pairings or complex cigar-Scotch combinations. And our online cigar shop will be happy to provide a few recommendations along the way. Look to Federal Cigar for valuable guidance when you are giving a Scotch whiskey and cigar gift. Though tastes are personal, we can provide suggestions for cigars that are sure to please when they will be enjoyed with a glass of Scotch. An excellent cigar can complement a well-aged drink beautifully. That’s why pairing Scotch and cigars in a gift basket can be a great choice. To give the gift of a scotch cigar pairing set, you have to know a little about the person’s preferences. Think what tastes, aromas and finishes would be pleasing to the recipient. Of course, you can always choose a duo that is recommended by a knowledgeable cigar-Scotch fan. 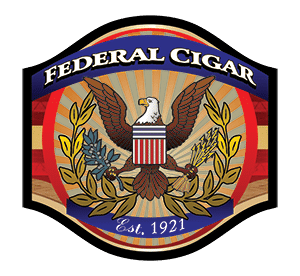 Federal Cigar is a specialist with a respected history as neighborhood cigar shop that provides trusted, high quality products for personal enjoyment and special occasions. Contact us today or find your favorite products online now.